EVGA is proud to introduce the Hybrid cooler for the reference 980 Ti Lineup. The already incredibly performing GTX 980 Ti just got better; it now comes with a maintenance free, self-contained water cooler. This can keep the GPU 20-30c cooler under load than heatsink/fan based coolers, and do so at a substantially reduced noise level. Allows for crystal clear 4k video, smooth gaming, and great overclocks! The EVGA GeForce® GTX™ 980 Ti HYBRID features the most advanced GPU architecture ever made, designed to be the engine of next-generation gaming. No maintenance. Just plug and play. Intelligent wiring system and sleeved tubing make this one sleek cooler without the messy wires. VRM and Memory cooling solution separated from GPU, allowing for lowest GPU temperatures, and efficient VRM and Memory cooling. - No filling, no custom tubing, no maintenance. Just Plug and Play! High frames even at max resolution in games like Overwatch! Cool design with glowing logo! Cons: 1080 came out shortly after i bought and most likely a better option now, but 1080 looks almost identical which is good. Pros: Had it for 8 months. Handles everything I throw at it stays nice and cool. Usually doesn't break 60 C under load, 30's at idle. -Ice cold. It doesn't go above 38C when I'm pushing it. Cons: -The teeny tiny screws couldn't reach through the metal case, so I had to tap special screws myself. Not a big deal if you have the tools but most people probably won't. Other Thoughts: I would recommend this a thousand times. I got in on a special one-day deal from B&H Photo in NYC for $400, but this is totally worth the $770 currently on Newegg. If I had the money, I would be buying a second one for SLI. I came to this card from an R9 290x, and this thing is [an honest estimation of] about 300% quieter. I highly recommend it. HOWEVER, if the manufacturer EVGA sees this, they really REALLY should consider making their screws another 1.5-2mm longer. I had to make my own screws from steel blanks and I doubt anyone else wants to do that, even if they have the stuff. MAKE YOUR SCREWS A BIT LONGER, EVGA. 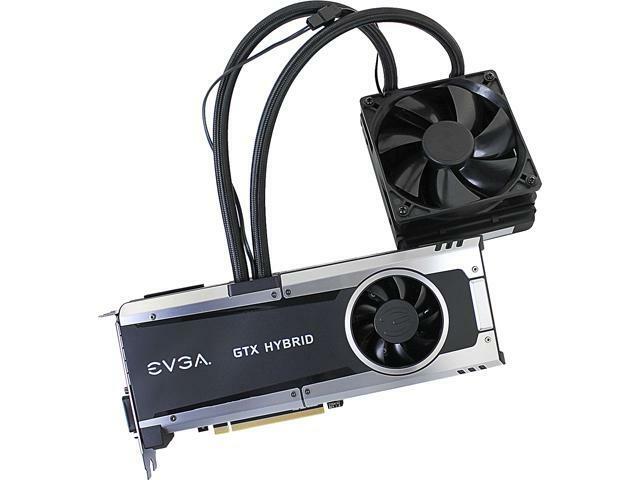 I am sorry to hear about the troubles you are having with your EVGA GTX 980ti graphics card. I can assure you that we are here to assist and support you as best we can. If you haven't already done so, then I would encourage you to contact our 24 hour Technical Support team by phone 1.888.881.3842 and pressing option 1 or by email: Newegg@EVGA.com so that we can assist you. Pros: -A+ Nothings wrong, works perfectly. -Plug and Play No Hassle. Cons: -Could been better if you could customize the fan for processor..
Pros: Still super powerful in relationship to the next generation. Crushes all games I have thrown at it. Unless you are running 4k or VR this is still a monster of a card. I run all games maxed out at 1080P. Cons: Absolutely none. It is a gorgeous GPU.